Don't forget to pause. Sometimes the days just rushes by, and some of life's most memorable moments may actually be the simplest of everyday events when the joy suddenly takes over. 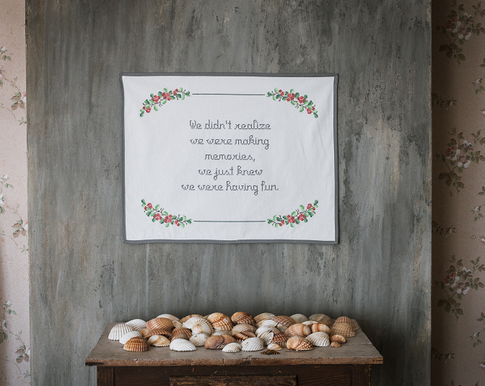 This is worth to be reminded of by this beautiful, modern and yet classical wall hanging. 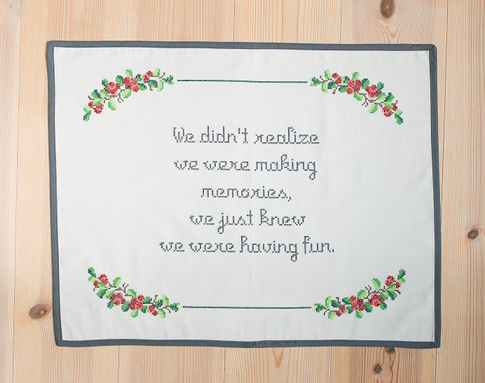 One way to pause is to take some time out of your day and do some cross stitch embroidery. It's relaxing and gives you that little well needed break. Sew yourself towards a more concious everyday life! The complete kit comes in a beautiful package - perfect to give away as a birthday gift, Christmas gift or why not to yourself? Escape the everyday stress and find serenity in the embroidery - your path to mindfulness. Sew It Yourself – You love it! 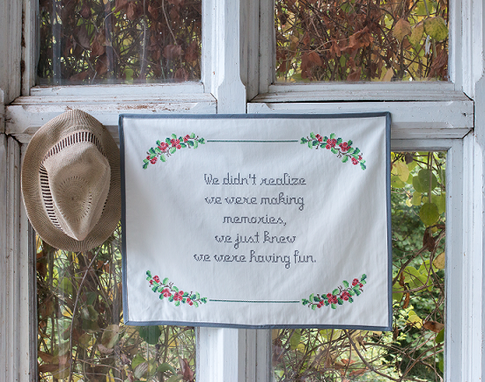 This pattern is part of The Folklore Company's embroidery collection released in the autumn of 2016.